Description: "Coecles Harbor Marina & Boatyard is the premier full-service marina located on Shelter Island, one of the most unspoiled destinations on Long Island’s East End. 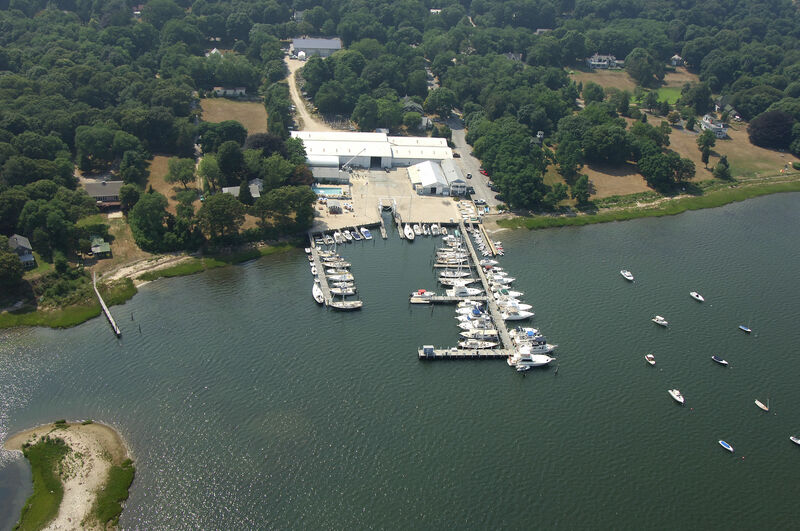 Since 1973, Coecles Harbor Marina has maintained the highest reputation for its outstanding marina facilities, repair services, restoration work and comprehensive seasonal maintenance. Coecles Harbor provides a stunning, protective setting for the Marina’s seasonal and transient slips and moorings. It’s no wonder that our boaters return year after year to enjoy the Marina’s first class facilities." The marina is straight into the harbor. Go easy as you enter the harbor, there is only enough room for one boat at a time at the entrance. 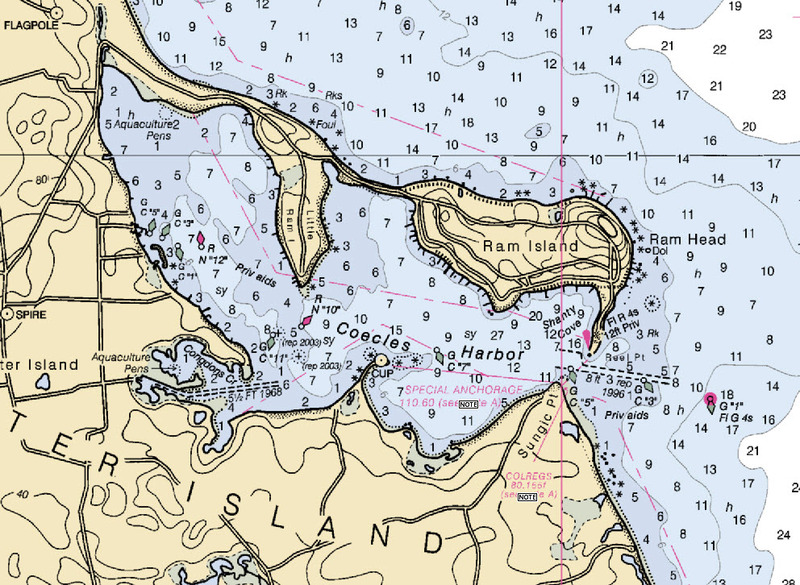 Tips on entering the harbor from OspreyGuide. 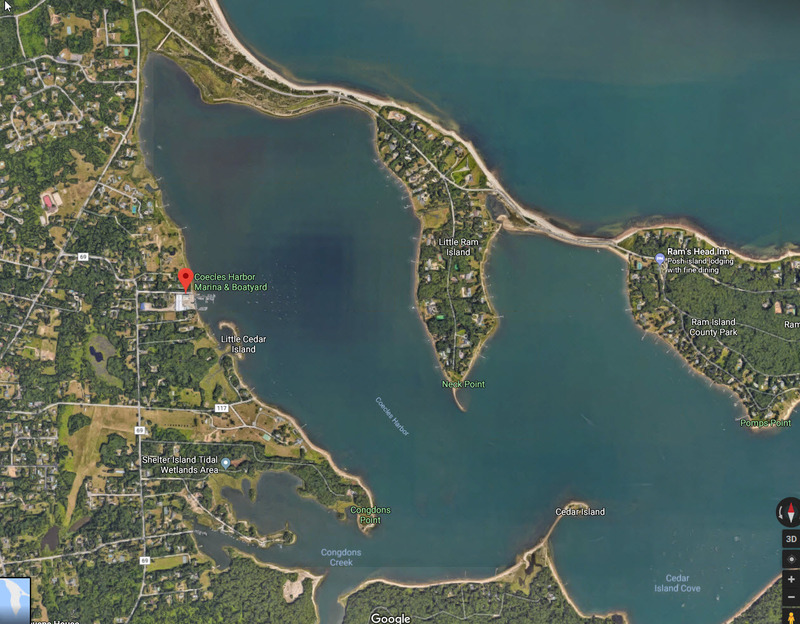 Info on Coecles Harbor Marina from OspreyGuide. The marina offers slips and moorings. There is a ships store, nice pool, and marine service. This is a somewhat remote location, be prepared to amuse yourself during your visit. Transporttion to the ferry to Greenport may be available, check ahead of time on this.